Managing your guests means getting them to your venue, prepped with any information they need, meaning they will experience the event aligned with your hopes. Sometimes this means pre-equipping them with information, or even getting them to do some light “homework” beforehand. For example, a sales training seminar or conference may need some prior input, so as to deliver as much benefit in limited time during the event as possible. In some cases events might have different “classes” of guest experience. For example the V.I.P. guests might be invited to attend a special cocktail party prior to the main event, or exclusive after-party. 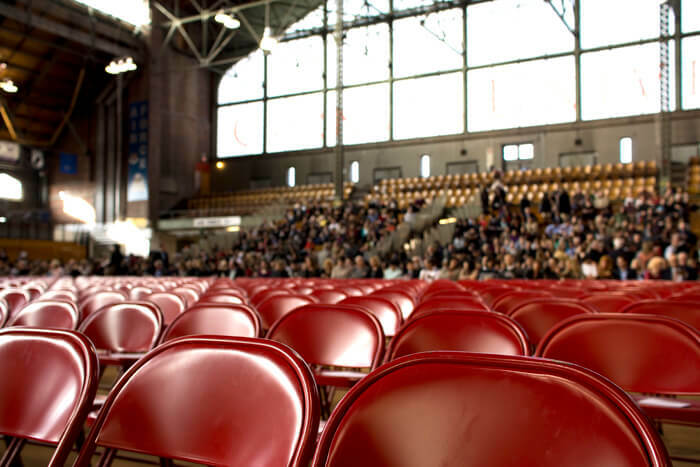 Other events might have grouped (or tiered) seating, with relative ticket prices to match. Every instance of event requires critical management of the guest experience to ensure overall success of the event. For many events, your guest management can be as simple as a clear floor plan and telling them where to sit (i.e. what table they’re on). Guest management can certainly be time consuming if it isn’t managed properly. Talk with us about your event and let us ease your pain.